Monte Gannon was referred to us from our friends that had him as a realtor last summer, also sold both homes. We asked him to come over last summer to give us advice on selling our home, which he did, and found him very genuine & pleasant. Come this winter Monte listed our home, and sold in a few days. To describe Monte Gannon he’s very professional, and all around a wonderful person. Monte went beyond getting the value of our property. There was not a property in our neighbourhood similar to ours, he did quite an extensive research justifying the asking price to other realtors. Monte Gannon did not every suggest to lower asking price like other realtors did. Monte Gannon was my realtor and was involved in the sale of my house and the purchase of a condo. He was a great help in helping me decide which area of the city to buy a new place. He took me to a substantial number of units so I could figure what I really wanted. He was able to answer all my questions, and there were many. It is good to have a realtor who is so well informed and knows the business.The sale was a little more difficult but with Monte's knowledge, level-headedness and encouragement, I was able to survive it. The house sold and I was happy with price achieved. I very much appreciated all his professionalism and his hard work. Monte is kind, honest, knowledgeable and professional. He truly went the extra mile at every step, including recommending a handyman who did a great job, on time, and charged a fair price. We always felt we had an ally in our corner. 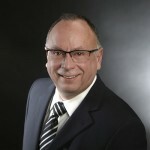 I would not hesitate to recommend him to anyone looking for an agent in Edmonton. This was my very first purchase. I gave Monte my budget and he showed me only properties in my range. He was incredibly knowledgable about the property I purchased. With Monte's help I purchased my new home under what the seller was asking for. I received a quick close and felt taken care of during the entire process. I love my new home and thank Monte very much.